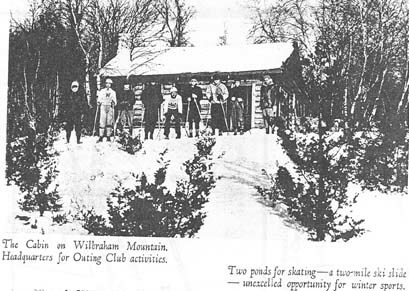 Part of the now Wilbraham-Monson Academy, the original Wilbraham Academy operated a small ski area in Wibraham. The area first sported a 2 mile ski trail on Wilbraham Mountain. It started at an old cabin at a reservoir through the woods down to the campus below. A ski jump also existed. 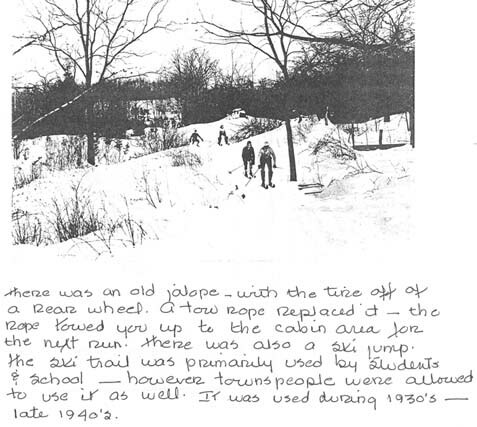 An old jalopy with a rope tow likely served the lower part of this trail. Thanks to Coralie Gray, we have these great maps/pictures of this area. 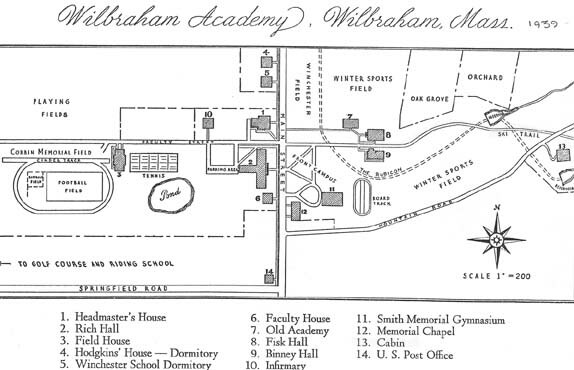 Here is a map of Wilbraham Academy in the 1930's. Notice the ski trail on the right. Here's the cabin where the ski trail began. Here's a scene on the trail, and a description of the area from Coralie.